This month there are some fantastic games being released, and it shows no sign of slowing down. Regardless of the gaming platform you use–Play Station 4 (PS4), Xbox One (XBO), Nintendo Switch (NS), Computer (PC) etc–there is a new game for you to enjoy. 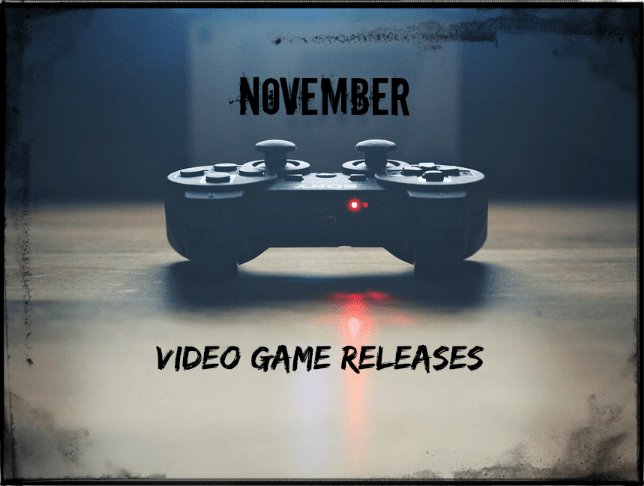 To keep track of it all, here is a list of the anticipated video games being released this November. Content Warning: Trailers contain scenes of explicit violence and some gore, may not be appropriate for all viewers. Taking place over the course of a single night, the player tries to find a kidnapped songstress. Playing as Dane, the deaf protagonist, players try to find the masked man who took her all while fighting through the streets of New York City. This first-person shooter game is set in The Walking Dead world and will have players fighting the living and the dead in a post-apocalyptic Washington D.C. Users can choose between four characters Aidan, Heather, Maya, and Grant; each come with their own skill set and background story. Will you survive? This combat street racing game is set in the future. Players race through tunnels, tracks and off road while battling the elements and each other. This game has over 230 customizable bike models from which players can choose. It also features over 30 tracks to race on for players to ride to victory. Following what happened in Hitman, Agent 47, a contract assassin, goes after the Shadow Client. There are six missions in various locations to complete. Players can choose to be Knight or Stone who come with their own skills and weaponry. The 16th in the series will focus on the World War 2 battlefield. The player will shape their troops, choose their weapons and vehicles, and lead them into battle. Players can choose between three modes: squad play, single-player, and multi-mode. Players become Fury, sister of War who is one of the Four Horseman of the Apocalypse and Death. She relies on whips, swords, daggers, and magic to fight enemies and collect the Seven Deadly Sins. Players will have to solve puzzles and go through obstacles while collecting souls and fighting. What video game are you looking forward to playing? Let us know in the comments below. Next story ‘Mary Poppins Returns’ New Special Look! Previous story Experience the “Stranger Things” Maze at Universal Studios Hollywood!